Our motto is that one perfect fitting can transform the ordinary into a private sanctuary that creates a palace for physical and emotional well being. Antonio Gardoni. Architect and designer with international background of experiences, innovator in the design language for commercial and experiential projects. Collaboration with Ron Arad, cofounder of Jump studios and professor of industrial and interior design.their history every day. Federico Castelli. 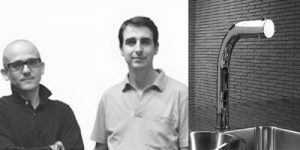 Skilled in the industrial products planning and developing from 2006 works with Studio AG at the creation and supervision of interior’s projects besides taking care of the communication and graphics in a innovative way. Chiara Valeri Born in Rome on 21st March 1969, she completed her artistic studies by earning the title of “Master Ceramics Artist” in 1988, after which she began to dedicate herself to artistic ceramics. Subsequently, in 1990, she earned a Diploma in Applied Arts from the “Ulderico Midossi” State Institute of Art in Civita Castellana. In 1990 she graduated from the Rome Fine Arts Academy with a degree in Theatre and Cinema Scenic Design with full marks. She initially embarked on a career in theatre scenic design and subsequently continued her studies in furnishing and design issues. She has created interior design projects for both private customers and retail businesses, while simultaneously collaborating with companies operating in the bathroom furnishing and crockery sectors for outfitting trade fair stands. 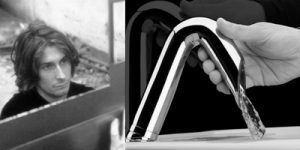 Since 1997 she has been predominantly focusing on the industrial design sector by collaborating with companies operating in the Civita Castellana industrial scenario. 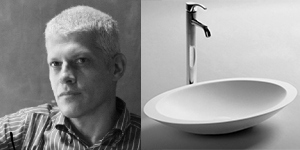 iB Rubinetterie is recognised for its utmost creativity in the bathroom sphere, with Italian designers Andrea and Davide Bregoli continually conveying a fresh, new approach to modern bath ware. They love their country, its ancient and industrial history, and the results of this. Brought up to respect their origins they can not imagine not manufacturing in Italy. “The history of our country, the culture of design that we are lucky to live and breathe every day dictates our standards and marks our steps.” Made in Italy means for us to live their history every day. 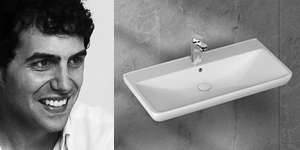 Ettore Giordano, who lives in Milan, has been working on industrial designs since 2001. Also continuing his academic career, Giardono has worked with many companies in different countries. By synthesizing different disciplines, he has associated traditional architecture, cultural differences and environmental responsibilities in his designs. 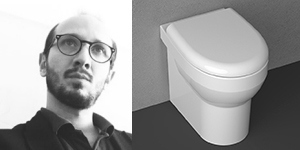 The Bplus series, which Ettore Giordano has designed by setting off with the idea of offering an environment sensitive, hygienic approach, attracts the attention by its innovative approach. 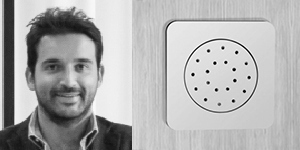 Since 2014, Ettore Giordano has assumed that task of CDO (Chief Designer Officer) at ISVEA. Genesis Research& Design Innovation Center specializes in the production and design of vitrified ceramics products. It brings new production technologies and new design approaches to the field of Vitrified ceramics, which is its field of specialty. It continues its works as one of the largest ceramics R&D center of Turkey. While the Soluzione series designed by Genesis Research& Design Innovation Center gets credit by its broad product range, aesthetic alternatives and abundant design options, the Armoni series offers alternative solutions that complete the aesthetic understanding by its modern design, and meets different needs by its functional structure. 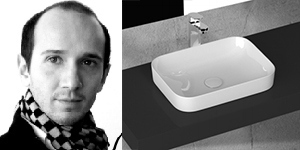 Currently the Creative Art Director of Paco Jaanson, John Gulbenkoglu designs products as well as travelling the world identifying trends in form and function in design and architecture and more specifically for the bathroom. He has the thankless task of liasing with international product designers in order to adapt new products to the needs of the Australian market conditions. Born in Istanbul, John has a master of architecture degree from ITU; In his earlier carrier as an avant-garde architect, he has helped shape the fusion of eastern and western trends during the 70s. 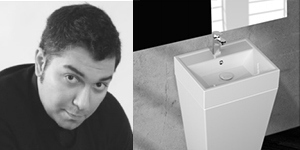 Now based in Melbourne, as he identifies and adapts the latest trends in the bathware industry, he helps us all to celebrate what is now become synonymous with creativity for bathroom products: Paco Jaanson. 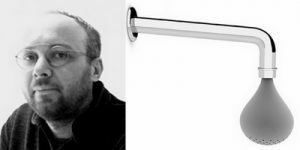 Among the world’s mot prominent – and talented - architects Milan born Lorenzo Damiani is best known for his striking designs which adhere to the theory that less is much more. 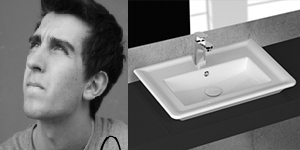 He brings elegance to the products he touches. 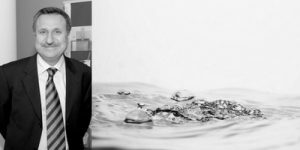 His understanding of smooth gently flowing lines and the effects they create within the environment they are to be integrated has seen rise to numerous awards. 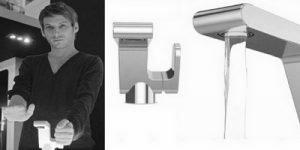 Being able to maintain classic bathroom features while giving them a distinct styling twist, has progressed him through the ever-growing companies he now co-ordinates with. Maurizio Duranti was born in Florence in 1949, he graduated in Architecture in 1976. Lives and works in Milan since 1987. He has tutored at the Faculty of Architecture in Genoa and at the European Institute of Design in Milan from 1984 to 1989. Amidst his realisations are the planning and design of building structures, the fitting out of exhibition stands and showrooms which have frequently been published by the national and foreign press for their innovative features. Since 1990 he has concentrated his efforts on industrial design and has created many successful products for leading manufacturers of household products adopting all types of raw materials and productive technology.Numerous products designed by him are present in permanent collections of well-known museums throughout the world: Athenaeum in Chicago, Bunkamura Design Collection of Tokio, Neue Samlung Museum of Monaco Baviera, Museum of Design and Decorative Arts of Gent, Victoria & Albert Museum in London.His creations narrate imaginary stories and are full of irony which compete with everyday life. Although he has profound knowledge of productive work processes and the physical possibilities of raw materials, instead of technology he favours a narrative type of image. The Viva Basin collection, designed and manufactured in Italy, offers Fine detailing without compromising on practicality. Understanding bathroom expectations in the best way and creating designs accordingly, Meneghello + Paolelli Associates carries out studies that generate solutions which develop the design culture of institutions. 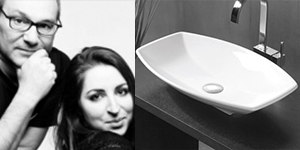 Meneghello + Paolelli Associates impress by the diversity offered in the designs of the Isvea Viva Washbasin collection. Consider this a statement piece that is both furniture and a dramatic focus for any bathroom. Nativita Design House, which carefully uses new technologies together with visual quality in its designs, is located in Milan. Identifying the consumer demands correctly and completely in its designs, the Nativita Design House defined its analysis, research and concept, and offers realistic designs. The Nativita Design House reflects its unique style, with the Sentimenti, designed as inspired by the contrast of the emotions in human nature, and offering round and sharp lines collectively, and Sott’Aqua designs that attract attention by their modern lines. The OMC2 Design Studios, based in Como-Italy, have works in many different areas such as Furniture Designs, Bathroom Ceramic Product Designs, Fashion Designs, Exposition and Event designs, Hotel and Restaurant Indoor Venue Designs, Jewelry Designs. Understanding the customer expectations in the best way and creating designs accordingly, the OMC2 Design Studio carries out studies that generate solutions which develop the design culture of institutions. The OMC2 Design Studios impress by the diversity offered in the designs of the SistemaX, SistemaY and SistemaZ washbasin collections. What is a “virtual designer”? Ora Ito is the brand name of the designer Ito Morabito,born in 1977 in Marseille, France. He got kicked out of design school after only a year and took matters into his own hands – first by working for an architect and then for the shoe designer Roger Vivier. He was only 21 when he decided to create fake products for real brands. He designed ‘ads’ for a Louis Vuitton bag and a camouflage-patterned carrying case for a Mac laptop and launched them on the internet… as if they really existed. Pretty soon the big brands discovered his abuse of their name… and they loved it. This collection of imaginary items was viewed around the world and so emerged the very first virtual label. In contemporary Paris, he spends his days in his studio creating real products for an impressive range of clients. 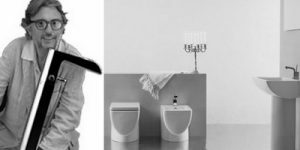 and now for Paco Jaanson bathroom…..
Pau Roviras and Carlos Torrente distinguish themselves in the industrial design world by their practical and common sense creations. Their many works with baths, particularly for the German company Duravit, the Spanish company Altro and the urban project for Santa Cole, confirm their belief that a minimum of parts equals maximum functionality. Based on this premise, their designs for Supergrif’s d38 implement this equation and create products of authentic quality. Simone Valsecchi, who lives in Italy and expresses that design is a passion for him, aims for continual innovations and differences in his graphical and design studies by his perspective that believes in the perpetuity of development and learning. With this understanding, designs that create value by association man and design are essential, for Valsecchi, who has awarded products. 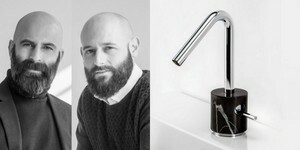 The young Italian designer Simone Valsecchi draws attention by his plain and different style in his Eleganza, a synthesis of classical breezes and modern lines, the Valente vitrified series, which impress by their simplicity, and the Diamante washbasin designs, inspired by the sharp lines of the diamond. 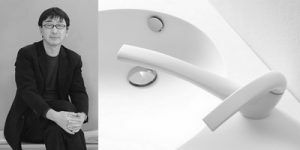 It is difficult to associate the architect Toyo Ito to a specific trend, always observing the world for different ideas, his obsession for lightness and his fascination for the organic world has been transmitted to the bathroom. 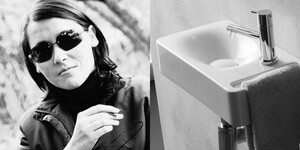 Toyo Ito has designed for Altro a complete bathroom collection that is based on the flowing of water. The collections main element is a top made by Corian® of which the washbasin has the natural form of the erosion of water just like the sand at the sea.The tap is the element that transports water to fading concepts are used, which is something that Toyo Ito incorporates frequently in architecture. The bathroom accessories and illumination allows us to travel to the geometric and cosmopolitan world. 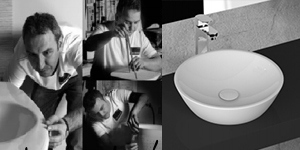 That urban and advanced touch, gives every day elements the required utility in the bathroom. “The difference that existed between interior and exterior architecture of the 20th century is disappearing. There should be no limits as the buildings should be part of the ambience which in turn should penetrate into the buildings” Toyo Ito. We are from Torino, ITALY but we breathe the air of design and creativity of various latitudes and longitudes. We have designed and we still design products for companies based in Europe, Middle East and Asia. When talking about ourselves, we like to use 3 words: project, creativity, innovation. The capacity of vision, the sensibility of catching new signals and knowing how to transform ideas into realizable proposals allow us to develop products and services which are in line with corporate strategies.